Detectives Friday announced the arrest the son of a woman whose body was discovered bound in the trunk of her car at her Hacienda Heights home on suspicion of her murder, authorities said. Clifton Huang, 43, of Hacienda Heights is accused of the slaying of his 63-year-old mother, whose body was discovered shortly after 9:30 a.m. Thursday in the garage of her home in the 15000 block of Las Tunas Drive, Lt. Mike Rosson of the Los Angeles County Sheriff’s Homicide Bureau said. The dead woman was identified as Vilma Lai-Chuen Chau, Los Angeles County Department of Coroner Assistant Chief of Operations Ed Winter said. The mother had taken out a restraining order against her son, however he continued to visit her on a regular basis, according to sheriff’s investigators and neighbors. It was not clear Friday how Chau died, Rosson. An autopsy was pending. “There were no obvious signs of trauma on the body,” Rosson said. An autopsy was pending, Winter added. It initially appeared Chau made have been dead for about three days, though coroner’s officials would make a more exact determination at autopsy. Family members who became concerned after not seeing Chau in several days were the first to discover her body, the lieutenant said. Huang was at the home when they checked on a strong odor emanating from the garage and discovered Chau’s body, which was bound with rope inside the trunk of her Mercedes-Benz. The family members immediately called deputies from the sheriff’s Industry Station, who arrived and confirmed the grisly find, Rosson said. Huang was still at the home when deputies arrived and was detained, sheriff’s officials said. He cooperated with detectives as he was held on suspicion of a probation violation, Rosson said. He was believed to be on probation for a drug conviction. Detectives obtained a search warrant for Chau’s home and made their way in Thursday afternoon to look for clues, he said. “Evidence was recovered inside the residence,” Rosson said. Detectives arrested Huang on suspicion of murder about 11 p.m., according to sheriff’s booking records. Rosson said deputies had responded to the home before regarding domestic violence issues. Huang lived in another home in Hacienda Heights, which was also owned by his mother, Rosson said. Huang has a lengthy criminal history in Los Angels County dating back to 2001, with convictions including false imprisonment and dissuading a witness, according to Los Angeles County Superior Court records. He was most recently convicted of drug possession and being under the influence of drugs in October of 2009, records show. He was also convited of drug possession in march of 2009. Huang was convicted of drug possession, being under the influence of drugs, possession of drug paraphernalia and resisting or obstructing police in May of 2006. In January of 2004, Huang was convicted of false imprisonment and dissuading a witness, records show. Further details on the incident for which he was convicted in 2004 were not available. He was convicted of soliciting prostitution in January of 2003, and possession of drug paraphernalia in April of 2003. In December of 2001, Huang was convicted of drug possession, and he was convicted in October of 2001 of driving on private property without permission. Neighbors described Chau as a friendly local real estate agent who largely kept to herself. Andy Wang, a neighbor who said he gave her Tai Chi lessons on weekends, said she had lived in the neighborhood for more than 15 years. Neighbors added they saw Chau’s son visiting her regularly. According to booking records, Huang was being held in lieu of $2 million bail pending his scheduled arraignment Tuesday in El Monte Superior Court. 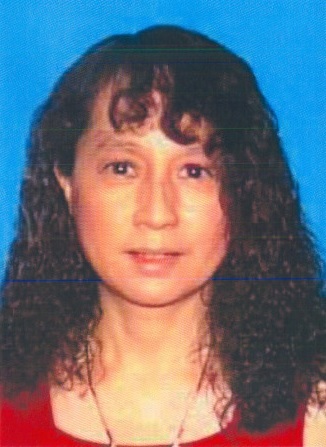 PHOTO of Vilma Chau courtesy of the DMV. This entry was posted in 187, Hacienda Heights by Brian Day. Bookmark the permalink.